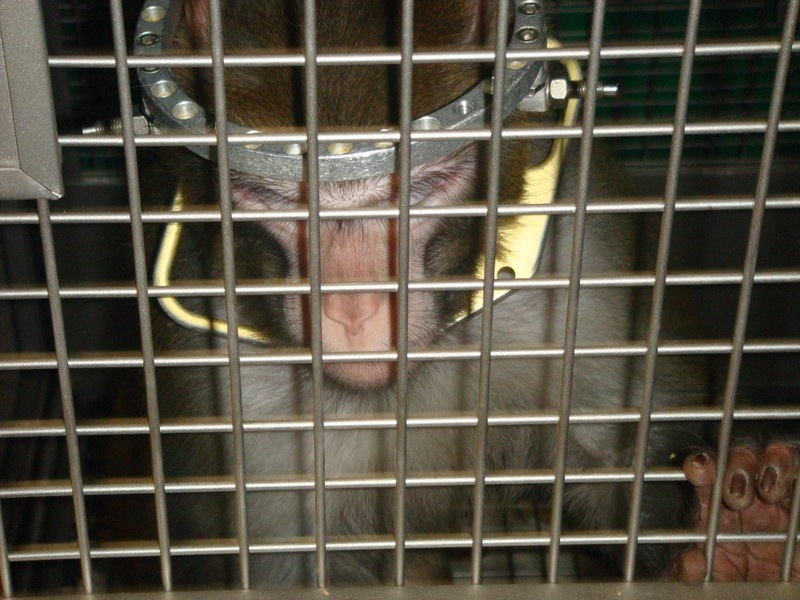 In May 2016, the University of Utah was cited by federal authorities for violating the Animal Welfare Act when a monkey was burned during a procedure. Written protocols called for a warming blanket to be used and for the animals’ temperature to be continuously monitored. Neither precaution was taken. In a desperate attempt to bring the animal’s temperature back to normal, the monkey was severely burned with a “hot air” tube. The animal was subsequently euthanized. Failure to comply with simple written instructions was an act of extreme negligence on the part of university staff, and this monkey paid the price for that negligence with his or her life. Fox 13 News initially reported on the U’s violations. Despite the fact that the story was accurate, and that the photographs were indeed taken inside the University of Utah, university spokespersons misled the station’s news director claiming that they were simply “PETA stock photos.” The story was scrubbed from the internet. The university’s effort to bury this embarrassing story worked. At least in the short term. There are still a lot of details we don’t know about this incident. We don’t know how this breakdown of oversight happened, nor do we know if anyone was held accountable. We don’t know the nature of the experiment the monkey was used in. The university has not even released this poor monkey’s name (if she has one). 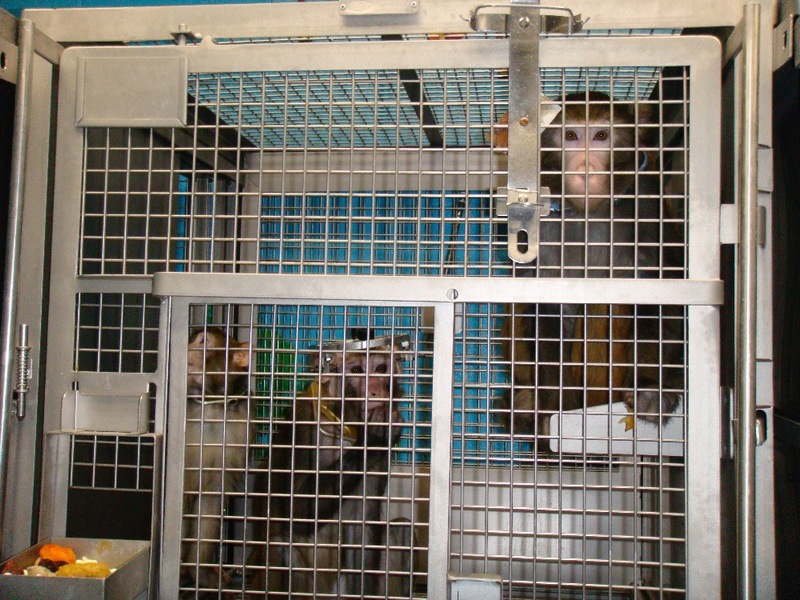 In an effort to learn more about what happened to this animal in this taxpayer-funded laboratory, Utah Animal Rights Coalition (UARC) has filed an open records request under Utah’s Government Records Access and Management Act (GRAMA). 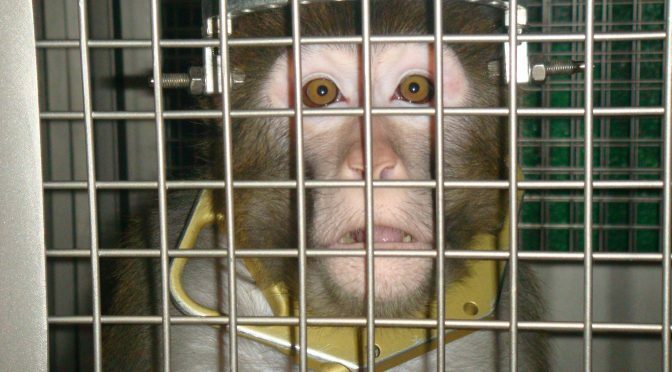 We requested internal memos, correspondence, veterinary records, and written protocols related to this monkey and the incident where the U broke the law. The U of U’s legal department responded to UARC’s request by demanding $325 in fees. In consultation with counsel, UARC considered our appeal options, but it was determined an appeal would not likely succeed. Unfortunately, GRAMA’s fees provisions are incredibly weak. The law allows government agencies complete discretion as to whether or not fees are waived, even if the records are related to a matter of significant public concern. Obviously, when the records would embarrass an agency, fees are rarely waived. There have been legislative efforts to strengthen GRAMA in this respect , but so far these bills have failed. We think it us vital to acquire these records so we can tell the story of what happened to this animal. The public paid for this experiment, and the people deserve to know the truth, especially when misconduct or negligence occurred. UARC also wants to demonstrate to the university that the public cares about this issue, and that the school’s refusal to offer transparency is unacceptable. UARC is not aiming to raise any funds for our organization off this tragedy. We are only raising the necessary fees that the school is demanding for the records related to this incident. It’s unfortunate that transparency in government requires a crowdsourcing campaign like this one, but that is where we are. We know the U will never release these unflattering records voluntarily. It’s on us to raise these funds so that the truth can see the light of day. Thank you.